Truro’s newest contemporary art destination, Atrium Gallery, has launched its new exhibition, Weather Diaries. The show will run until Wed 1 Nov and features artists who document and create ‘come rain or shine’ and in a variety of media. Atrium has selected work for this ensemble exhibition that reflects the inspiration that artists take from their immediate surroundings, with a mixture of genres such as landscape, linoprint, ceramics and still life. Three days of superb live music in a magical setting. Organisers describe Looe as a ‘grown-up music festival’ where camping is not a prerequisite and the village comes alive, from the beach to the streets with music, entertainment and cultural happenings. This year, catch The Jesus and Mary Chain, Lulu and Happy Mondays. If you’ve been to any of Cornwall’s summer festivals, chances are you may have already seen this brilliant and unique swing band this summer and they’re back for more fun on the beach at the end of the month. Fronted by a sassy female double act, their live set includes electric double bass, vintage samples, gypsy-jazz guitar, keys, drums, synths and electro beats. Held in a beautiful bell tent named Tylda, guests at this autumnal feast will cosy up around low tables for a belly warming 3-course meal, including smoked mackerel or aubergine pate, beef or autumnal veg and barley stew and spiced apple cake. A welcome drink of mulled cider is also included in the £22 ticket price. Lusty Glaze was named by The Times as the UK’s most picturesque place to watch live music and every Friday they host free live music nights. This week, catch indie folk singer Frozen Houses. Described as “sublime” by Charlie Ashcroft of Amazing Radio, this Cornish based singer songwriter’s carefully crafted indie folk pop songs have pricked the ears of those at BBC 6 Music (Tom Robinson BBC Introducing) and in 2015, he was nominated for “Best UK Act” by Pure M Magazine. Don’t miss this major retrospective exhibition of distinctive Cornish landscape painter Jeremy Le Grice. Working primarily in West Cornwall, Jeremy Le Grice is one of the most prominent landscape painters of his generation. His atmospheric paintings explore the Penwith landscape, its high moors, windswept cliffs and hidden harbours. This retrospective includes many unknown works from the family and private collections. Try a huge range of beers and ciders from Cornwall and beyond at Eden Project’s annual beer festival. Join the celebration to try craft ales, specialty ciders and new this year – a collection of boutique Cornish gins at the dedicated gin bar. There will also be live music to entertain and gourmet festival food to keep you on your feet. Tickets cost £12.50 and include 4 drinks and a commemorative pint glass. 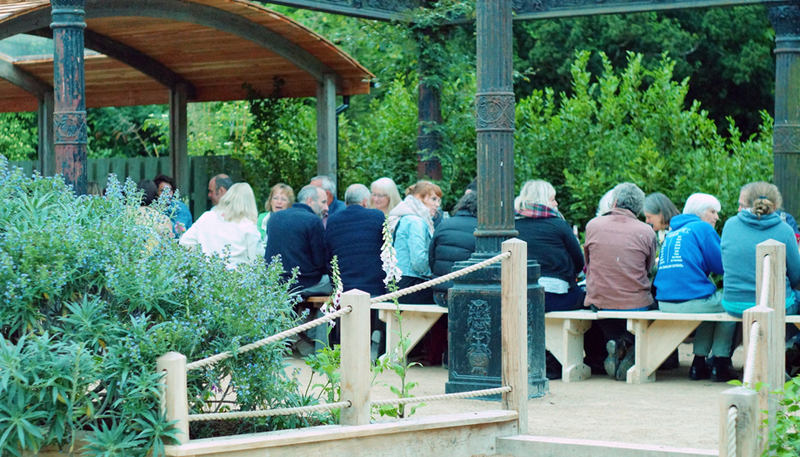 Once again, Ben Quinn and the team from Woodfired Canteen will be lighting their grills at The Lost Gardens – this time to celebrate harvest time. There’s a programme of other events and workshops too, including practical sessions with chefs and gardeners from Heligan and beyond. Tickets for the feast night cost £35 (£30 for Heligan members), and include nibbles and a three course meal, with live music. And if you can’t make this one, another is lined up next week with Loveday’s chef, Andy Chown. 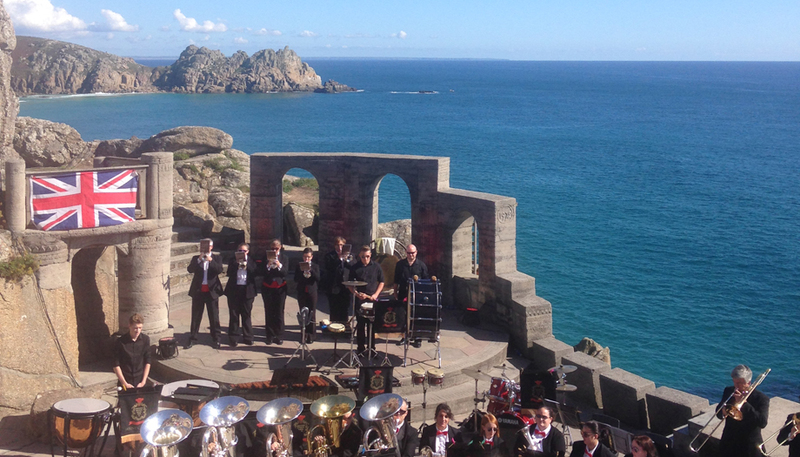 A real treat at the end of the season at The Minack is two days of Proms presented by The Mount Charles Band. This year they also welcome acclaimed Cornish singer Alison Harvey. Bring blankets and picnics, horns and flags for a good dose of traditional British fun. There’s a fair few ‘Apple Days’ coming up in the next couple of weeks, starting with the annual celebration at Trevaskis farm. What the heck’s an apple day, I hear you ask. Well… there’ll be a huge variety of home-grown English apples lined up for you to try and buy, you can watch apple juice being pressed and buy all sorts of other apple products. Besides the apples, there will be a hog roast and lots of stuff for the kids to do, including a pumpkin trail around the farm as well as fun games, a bouncy castle and kid’s crafts. National Trust Trelissick also has its Apple Weekend this Sat and Sun.